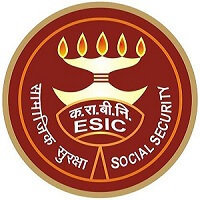 ESIC Recruitment 2019 – Employees State Insurance Corporation (ESIC) Job notifications for 1944 Stenographer and Upper Division Clerk at various locations. The detailed eligibility criteria and application process are given below. ESIC-Employees State Insurance Corporation announced job vacancies for Upper Divisional Clerk(UDC) and Stenographer in various regions across the country.Candidates who trying ESIC Jobs in the region of Uttar Pradesh,Uttarakhand,Tamil Nadu,Delhi NCR,Andhra Pradesh,Bihar,Chattisgarh,Rajasthan,West Bengal,Telangana,Tamilnadu can utilize this opportunity.Candidates who hold a degree and aged between 18 to 27 Years can apply this ESIC UDC,Stenographer Jobs.The online application for ESIC Job notification commences from 1 March 2019 and its closes on 15 April 2019.Job aspirants can submit the application through online.This ESIC exam application fees varry from Rs 250 to 500 Depending upon reservation.Candidates who looking for govt jobs can utilize this opportunity. Mode of Payment: Online mode through Debit Cards (RuPay/Visa/MasterCard/Maestro), Credit Cards, Internet Banking, IMPS, Cash Cards/ Mobile Wallets. How to apply for ESIC Recruitment 2019 for Steno/UDC? All interested and eligible candidates can apply for ESIC Job vacancy in online latest by 15 April 2019. At present huge railway recruitment 2019 is going on.Candidates who completed 12th/Any Degree can apply for Railway Job vacancies.